The dawn of summer sparks a lot of excitement and anticipation of time to relax with friends and family from the hectic schedules of everyday life. For many years Lake Tenkiller was our escape. I still remember the first time we arrived at the lake. I got out of the car and felt the stress shed from by body. What a terrific feeling! Let the rejuvenation and relaxation begin! There’s always something to do at the lake, be it playing on the water or land. A few land activities: Some of the most notable land activities are located at the state parks. From walking and biking trails to Disc/Frisbee golf or perhaps a visit to the Nature Center is more to your liking. If golf is your passion, you can take the opportunity to visit the refurbished golf course, The Wolf at Tenkiller, formally known as the Tenkiller Golf course. Ever tried Duck Pin bowling? You might want to consider it if you like to try new activities, it’s available at The Wolf as well. One of the biggest events of the summer is the Cookson Jubilee. It’s a festival of music, arts, crafts, family fun and even a Little Miss Lake Tenkiller Pageant. This annual event is scheduled for June 20-21 next to the Tenkiller Air Park. If you are looking for property, rumor has it that Tenkiller Property.com knows the lake property like the back of their hand. 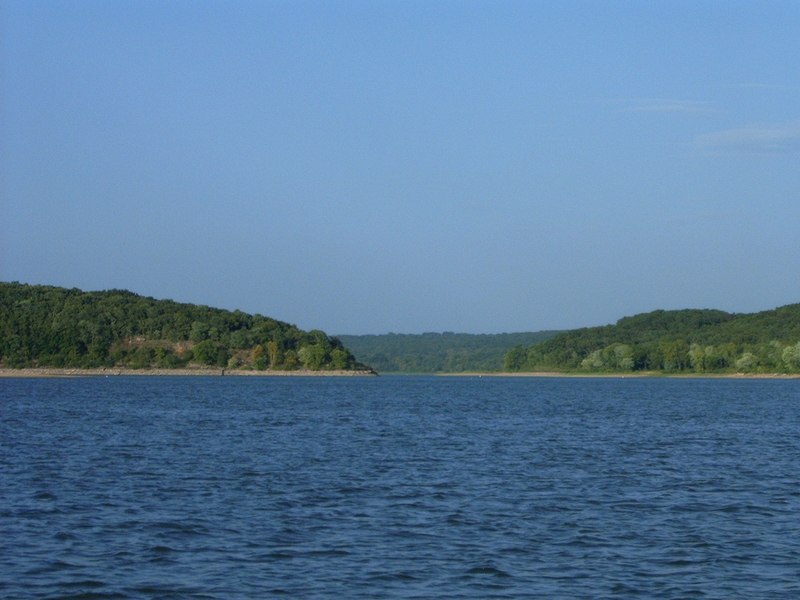 Water activities galore: If you can dream it, you can probably find it at Lake Tenkiller. 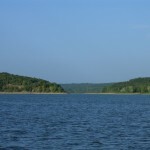 Proclaimed as Oklahoma’s clear water lake, it’s 34 miles long and up to 125 feet deep in places. There’s plenty of space for boating, water skiing, swimming, floating and scuba diving even when the lake is packed. The lake is decorated by numerous rock bluffs above and below the water and coves that can serve as your own personal hideaway. At least ten marinas are spread out around the lake along with several floating restaurants. Making for easy access to the water, fueling your boat as well as enjoying something to eat while you take a break from your activities. What are your plans to relax and rejuvenate this summer? Consider visiting Lake Tenkiller and staying at Terrapin Peak Bed, Breakfast & Beyond (the only bed and breakfast at the lake). CLICK HERE to make your reservations now. Genny and Chef “What’s His Name?” vacationed at Lake Tenkiller for more than 15 years. At their special Lake Tenkiller lodging they enjoy sharing their home, life stories and love of the lake with their guests. This entry was posted in Lake Tenkiller Lodging, Oklahoma B&B, Oklahoma Vacation, Summer, Tenkiller State Park and tagged Bed & Breakfast, Cookson Jubilee, Lake Tenkiller, Lodging, Tenkiller Air Park, Tenkiller Golf course by Genny. Bookmark the permalink.